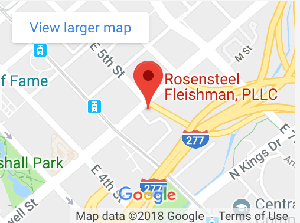 I was referred to Rosensteel Fleishman after my long-time attorney retired. I had an out-of-date license sticker violation which is somewhat complicated, but it’s possible to have it completely removed from your record, which Rosensteel Fleishman advised and then carried out for me. This required a court appearance which Mr. Rosensteel made on my behalf. For an extremely nominal fee they saved me a lot of time and achieved a better outcome than I would have.